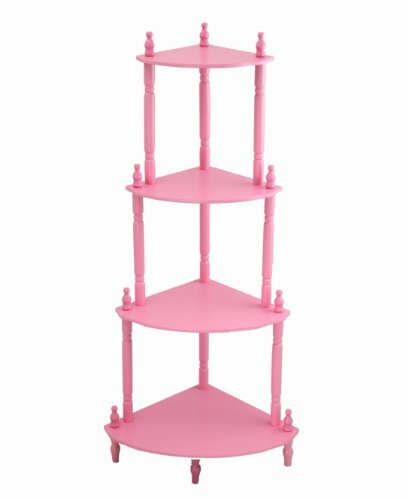 5-Tier Corner Stand fits a corner of any room to meet the demands of simple storage. Use it to showcase decorative items, photos, books or antique pieces at home. It comes in a traditional style and a nice color. Use it besides the bed to store commonly required items and other home essentials. Its finish will match most of the popular styles of home decor. Cleaned easily by occasional dusting with a soft dry cloth or wiping with a damp cloth.